Carbon Monoxide is produced by the incomplete combustion of fossil fuels it is colourless, odourless and tasteless. In mild cases of poisoning it may just cause an headache but far to often it is fatal. Hundreds of people die each year from Carbon Monoxide poisoning many of these tragedies are a result of poorly maintained gas appliances. Under normal circumstances a gas appliance will produce mainly water vapour and Carbon Dioxide this is perfectly o.k. and none hazardous. 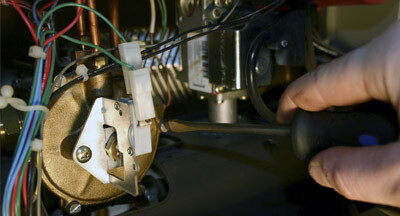 Lack of servicing and the appliance will start to produce Carbon Monoxide. The lungs more easily absorb Carbon Monoxide than oxygen and as a result the body slowly shuts down, if the Carbon Monoxide continues to enter the body it will be fatal. If oxygen or fresh air is introduced before it’s to late then the body has a very good chance of a full recovery. We recommend fitting an audible carbon monoxide detector as this gives a warning that you can hear and will wake you if you are sleeping. The plastic sticker type of detectors that turn black when carbon monoxide is present may not offer the same level of protection. You may not see it turn black, it may be too late. 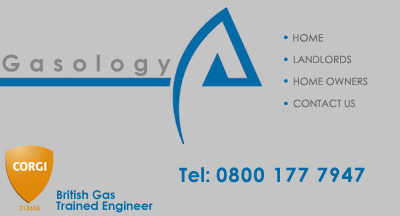 Gasology can supply and fit a carbon monoxide detector in your home to give you total peace of mind..